Happy Halloween from Art of Miami. I Carved this pumpkin just for the Miami area to show the rest of America how Miami does it better. We celebrate the Fall season like no other city can. I want to thank everyone that purchased the Art of Miami Jack o’Lantern t-shirt. You guys supported and help spread an idea that has been in the working for over a year. Also special thanks to local blogs the305.com and TheFashionPoet.com who shared my brand with their loyal fans. Stay tuned for more Miami themed apparel from ArtofMiami,com. 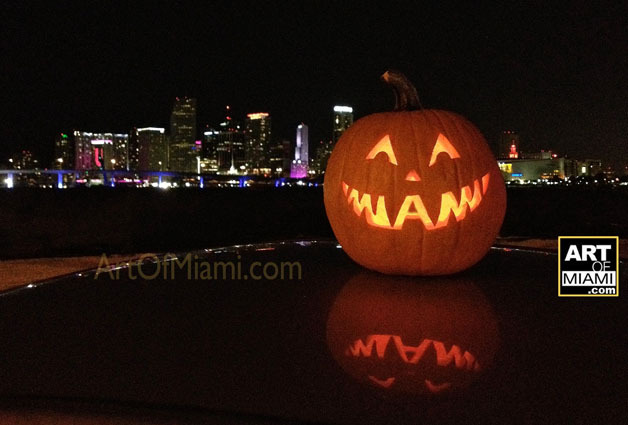 The Miami Jack O’ Lantern is a registered copyright of Harold Rosario All Rights Reserved 2013.